We woke up at 3.30am (6.00am Malaysian time) because the flight from Bangalore to Mangalore was set at 7.15am. After some light breakfast, we went by Bus to Bengaluru airport. After checking in our luggage, only did we realized that our flight was delayed for an hour and 45 minutes! Since I was getting hungry at that time, I bought a chicken puff for rs80 (RM4.80) at the airport. It took us approximately 75 minutes to reach Mangalore. Manipal University buses and luggage trucks were there waiting for us. We had to go through bumpy roads for 90 minutes before reaching Manipal. It was only 60km apart but due to the bad condition of the roads, it took us this long to reach. Finally around 3.45pm, we reached Manipal University. We were brought to a hall and lunch is provided there. A briefing by the Chief Warden and some of the lecturers were conducted after that. After the briefing session, we were given Airtel sim cards and they charged us rs600 with rs560 debited into our account. We went and settle down in our hostels after that. I applied for the Nehru block with my friend, Chin Leong but we were granted the RT Hostel, Tagore block. Rabindrantah Tagore is actually an Indian poet who is the first to won the Nobel Prize other than European. The hostel block is named after him. Basically both hostels are twin-sharing with no air-conditioner. The difference is our block was further from the lecture halls and there is minor sunlight there. They even charged us for USD$1000 instead of USD$750 as stated in the hostel application form. How unfair! It is a very small, old and dusty room with metal cupboard, metal doors, wooden chair and a wooden table. Everything is old there and we have to buy our own pillow and blankets. How can I survive there for 2 and half years? Thankfully after we settle down in our hostel, I met Tan Kian, who is 1 semester earlier than me. We were classmates in secondary school. He bought me and my friends around and introduced us to the places and shops there. The Indians use different plugs from Malaysia. Theirs is three round headed small pins. My dad bought a gang socket for me with three round headed pins too but mine was 15Ampere and it could not fit into the socket! I have to buy an electrical adapter which acts as a stabilizer because the electricity current in India fluctuates. It may cause damages to my devices. One terrible experience was when we were buying our pillows. We asked for discount for the rs220 pillow but the shop owner told us it is already discounted price as the usual price was rs250. He claimed that rs220 was a special price for students but after we went back to hostel, we found out it was written on the plastic that the maximum retail price is rs220. This is the way how they make profits out of us, the poor students. Bombay Surgicals. The place we bought our lab coats, surgical sets, name tags and latex gloves. The shop may look old-fashioned for us Malaysians, but all the shops are the same style there. For dinner, we went to the Food Court. 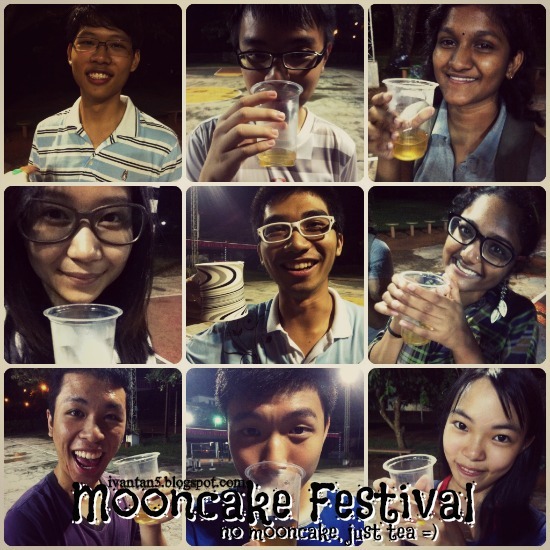 It is indeed true that they serve Malaysian food such as chicken rice, nasi lemak, fried rice and other delicacies. However, the taste is not Malaysian at all. I ordered chicken fried rice for rs60 (RM3.60) and the rice is so oily. The price of the foods was not as cheap as expected too. It is almost the same in Malaysia and some even cost higher. Around Manipal town, there are also Domino’s pizza, McDonalds, KFC and Pizza Hut, surprisingly! I travelled from LCCT to Bangalore via Air Asia airbus for 3.5 hours. It was a tiring plane ride. Before landing, what I could see from the plane window was green and brown. There are only land and plants around the airport area and the land was poorly maintained, totally different from the high rise buildings in Kuala Lumpur. Since the water in India is not clean, airport areas even have water dispenser for the convenient of tourists. Motorists are pressing their honks all the time! They will honk no matter what is the condition of the traffics, it is a norm there. Road diversions are everywhere as most of the roads are under construction. After we reached Bangalore, we were welcomed by Mr Ram Kumar, the deputy registrar for Melaka-Manipal Medical College. We sat a bus which took us more than an hour to reach Royal Orchid Hotel. Some of the roads have no white lines in between and the traffic there was very bad. Our bus driver will be considered reckless if he would be in Malaysia but wait, everyone is driving like him there. The drivers are cutting each other all the time and all we could hear is just the noise of honks throughout the journey. There are no courtesy among drivers and now I know why the university banned us from buying two-wheelers, it is extremely dangerous! Malaysian driver will be having heart attack because the road is like a war zone. The hotel is superb because the rooms and facilities are well managed. We will be staying there for one night before heading for another flight to Mangalore the next day. When we reached the hotel, all of us were exhausted and hungry, fortunately there is Indian style buffet dinner for our pleasure. The Malaysian time was 10pm when we were having our dinner but it was only 7.30pm for the local Indian time. We went back to sleep after our satisfying dinner. It is saddening to leave behind everything you have since you were born and go somewhere far, real far, to pursue your dream. 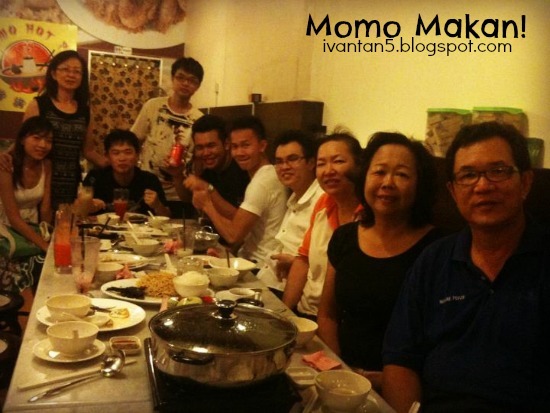 On the 4th September 2012, I had my Tan's family dinner at Momo Cafe. It was a wonderful and memorable dinner as majority of us was present. Visited grandpa at the old folk’s home for the last time before going off to India. I bought some meat dumplings for him and a few people there as I will not be able to see him for quite some time. I updated my Facebook and Twitter statuses and most of my friends congratulate while wishing me lucks for my journey to India. 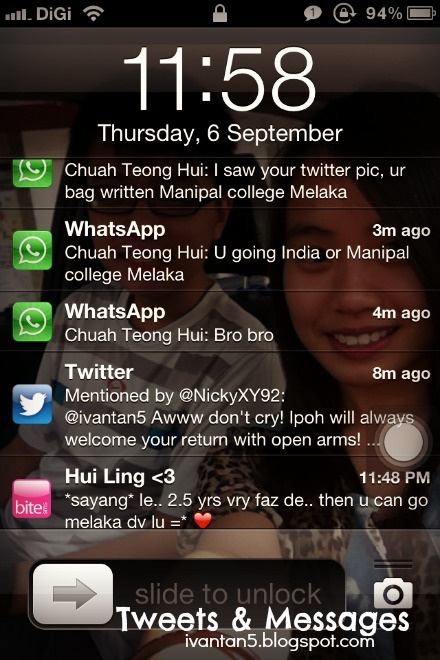 Although I feel happy as most of my friends were concerned about me, but I still find it hard to leave them behind. It is an unexplained feeling. The next time I will be seeing Rui Xin will be Chinese New Year. She would be enrolled into primary school by then. How I hope time flies, with Godspeed. My Yi Po (second grand-aunt) is always happy whenever I visited her or call her out. She used to bring me and my sister to old town when we were small and I still remember the moments she bought sweets and toys for us. On Saturday morning, we went to Kao Lee Restaurant for dim sum breakfast before we departed to Petaling Jaya for a one night stay. It was heart-breaking to see them cried. I am thinking back and I regretted my decision for applying to India. Why did I apply so far? I should just enroll into a local university instead! We stayed at my aunt house in PJ because I will be going to LCCT the next day. So it is more convenient to stay someone near as it only takes around 45 minutes to reach LCCT from there. After fetching Hui Ling from her apartment in Bukit Jalil, we went to 1Utama and took our dinner at Vietnam’s Kitchen. The meals there were extraordinary and the price was not as expensive as expected. 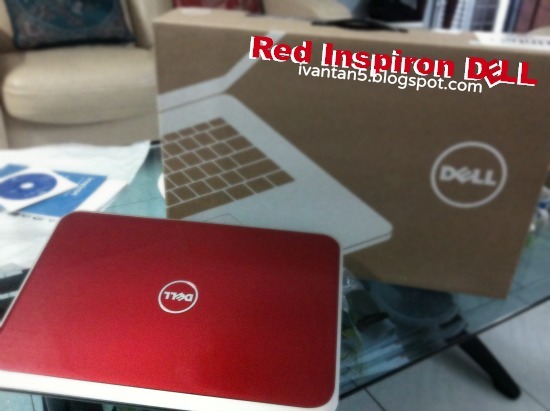 This is the photo of the newly bought DELL laptop by my parents. It is the first laptop of my own. I am happy as I finally can have a laptop of my own, but at the same time, I felt sad because this laptop was bought in preparation for me to enter university. I will be going to Manipal University for 2 and half years.